Hey everyone, it's definitely been a while. 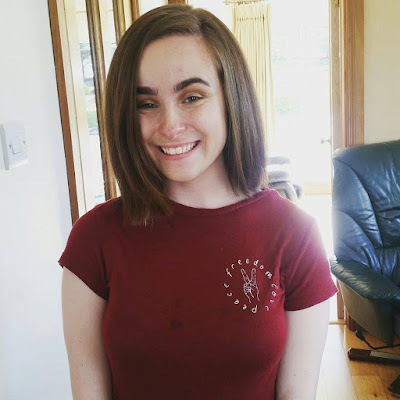 But I thought I'd come on to talk about me donating my hair! It was originally my sisters idea to donate her hair, and I kinda copied her because I really wanted to do it too! 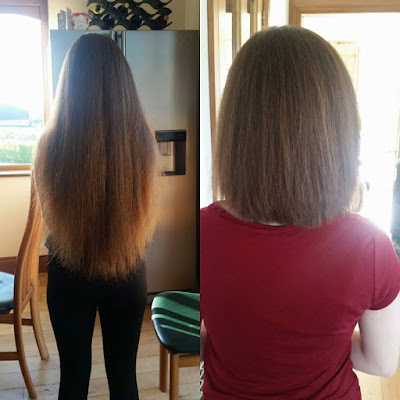 We've been wanting to donate our hair since last summer but have waited until now to do it! We donated our hair to the Rapunzel Foundation, which is an amazing organisation that makes wigs for people who have Alopecia (partial or complete loss of hair). We first had to decide which organisation we wanted to donate our hair to. We had the choice of donating to the Little Princess Trust or Rapunzel Foundation. 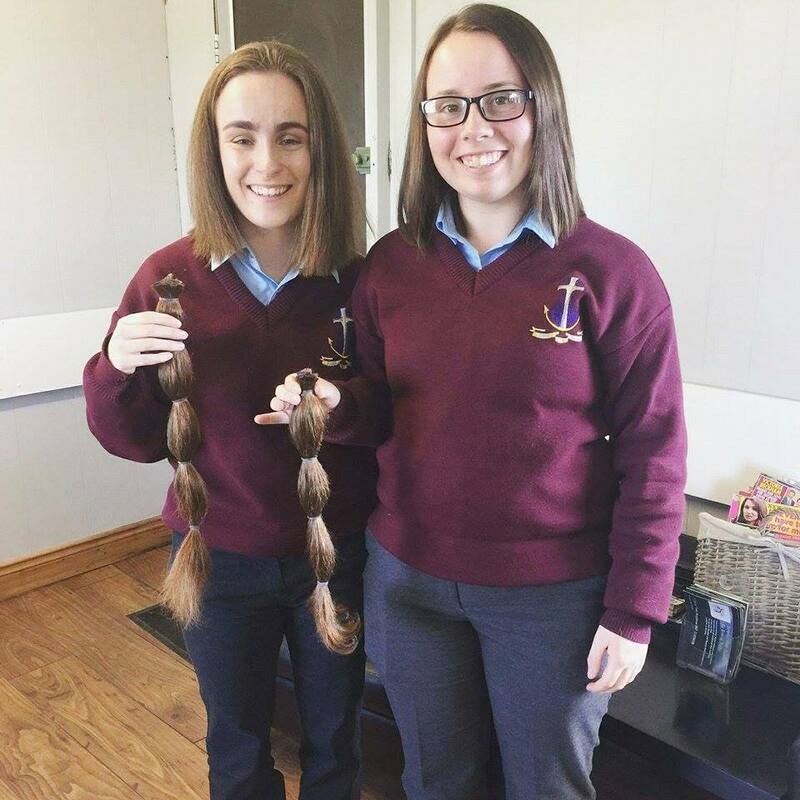 Ciara and I chose the Rapunzel foundation because we could donate 14+ inches, and as the organisation was really close to our hearts. The second step we took was finding a hair salon that could help us donate our hair. I got some advice from a friend that had donated her hair, and she suggested one that close to where I live. The Rapunzel website gives hair salons that are registered with them, that are close to where you live. On the top of the website it will say 'Find your nearest salon' and will give a bunch of places that are close to you. We then made an appointment with the hairdresser and asked her what we should do to prepare our hair. I freshly washed my hair the day before, I put some oil in my hair because I have dry hair this softened it and made it less dry. I shampooed and conditioned as normal, after that I also used the L'oreal Elvive Extraordinary Oil Nourishing Mask Balm this is an incredible product, it helped my hair feel soft not dry and nourished and it smells incredible. I naturally dried it and then I straightened it. After that the hairdressers (who were incredibly nice and really talented) did everything else. They brushed my hair, put it into the ponytail, cut the ponytail and then straightened my hair and styled it. After that we just wrote down our name and address so the Rapunzel Foundation could confirm receiving our hair, and send us a thank you card.